Make it a childhood full of fun with wheeled toys for children aged 5 to 10. 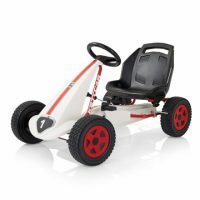 Speed demons will delight in racing around the garden in a KETTLER go kart or balance bike. All of our go karts feature racing stripes and easy to reach pedals while our 12.5” balance bikes have been designed specifically for older beginner cyclists. Check out our entire range of ride-on toys for children age 5-10. Since 1962, we’ve mastered the art of creating high-quality go karts. 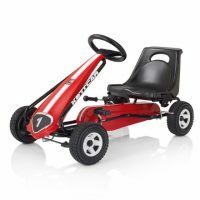 While our go karts may look stylish with their racing stripes and flashy colours, we’ve also placed safety at the forefront of our designs. 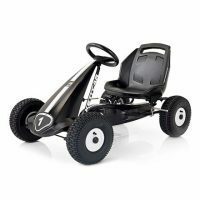 Each go kart has easy to reach pedals, adjustable seats, a freewheel facility, and an innovative safety chain. So, you can sit back and relax as your young driver cruises around the garden as fast as their legs will take them. It’s never too late to help your child learn how to ride a bike. 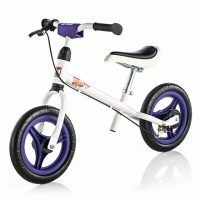 Even older kids can enjoy practicing their coordination and cycling skills with a 12.5” balance bike. As balance bikes don’t include pedals, beginner cyclists are more focused on their stability and can easily plant their feet if they feel unsteady. A feature that is perfect for preventing topples and the classic scraped knee. 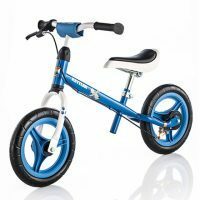 Balance bikes also make the transition to a pedal bike easier than traditional training wheels. You’ll be amazed how quickly your little ones gain confidence and improve their skills. Before you know it, they’ll be ready to take the next step. We know that you’ll want to ensure you’ve made the best decision when buying a ride-on toy. 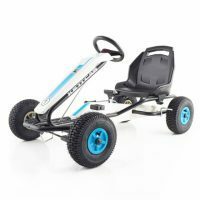 To help you find the answers you’re looking for, we’ve put together informative buyer guides for go karts and balance bikes.